This year, the Invisible Disabilities Association has recognized its inspiration award recipient Wayne Brady for openly sharing his personal journey through depression to inspire others through their own dark days and encourage them with realistic and pragmatics approaches to coping. 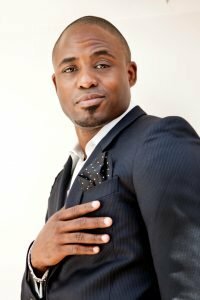 The Invisible Disabilities Association (IDA) taps Wayne Brady to receive its 2017 “But You LOOK Good” Inspiration Award. Invisible Disabilities Association Co-founders Sherri and Wayne Connell, along with all the members of IDA, have expressed their gratitude to Inspiration Award recipient Wayne Brady for having the courage to share his important story publicly and to use his platform as a positive voice to give hope to others dealing with depression and similar Invisible Disabilities. Five-time Emmy award winner and Grammy nominee, Brady is a true show business renaissance man. Actor, singer, dancer, improviser, songwriter – his lengthy career reflects it all and he recently wrapped a three-month run starring as the infamous Aaron Burr in the Pulitzer Prize and Tony Award-winning production of “Hamilton” in Chicago. After getting his big break on first the British, then the ABC version of “Whose Line Is It Anyway?”, Wayne Brady’s name became synonymous with off-the-cuff brilliance. He went on to star and produce both a highly rated summer sketch show and Emmy-winning talk show for ABC. He then joined forces with Dave Chappell creating the now classic “Training Day” sketch, showing audiences both sides of his comedic skill and depth as an actor. Wayne Brady returned to his theatrical roots with a successful Broadway debut as Bill Flynn in “Chicago,” and a slew of television roles guest starring on “30 Rock,” “Everybody Loves Chris,” “Dirt,” as well as recurring roles on “How I Met Your Mother,” and hosted “Don’t Forget the Lyrics.” His film work includes the feature films “Crossover,” “The List,” (a romantic comedy with Sydney Tamiia Poitier), and most recently “1982” from director Tommy Oliver. Brady will return for his 8th season as the host of CBS’s “Let’s Make a Deal,” as well as the fifth new season of “Whose Line Is it Anyway?” on the CW this year. He also has another national tour planned, a movie, and potentially creating a new television series. Learn more about coping with depression and other Invisible Disabilities here.